Well for some time now, the rear end of my car has been making some clanking noise, and recently started making a clicking or "snapping" noise. I got the car up on a lift today and noticed that the passenger side torque box was completely torn apart!! 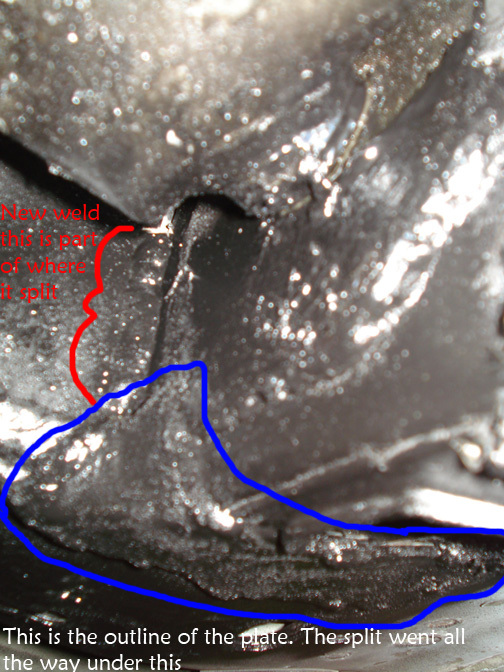 The driverside torque box was cracking and starting to get worse as well. Well I brought it to a local body shop and had their specialty welder go to town. He straightened up the shredded tq box by using a transmission lift and a block to push it up, and a hook and cable dent puller to pull it forward. After hammering into place and praying that it's straight, he started welding the tq box back together. 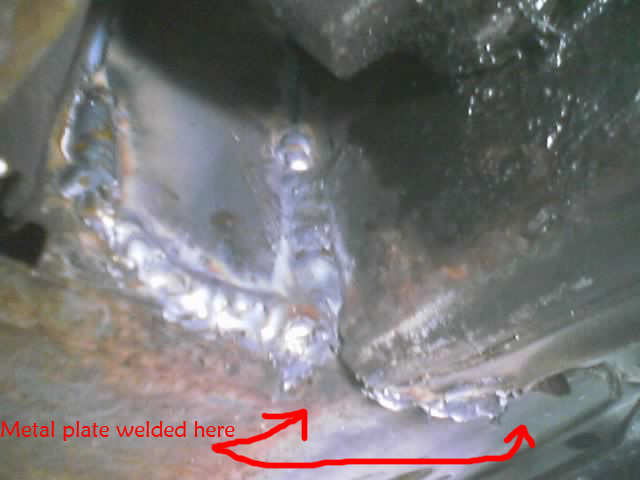 After that, he welded a plate on the bottom of the tq box over where he welded it where it split, bent the plate up, and welded it in place (as shown on the last picture). This is the passanger side tq box!! 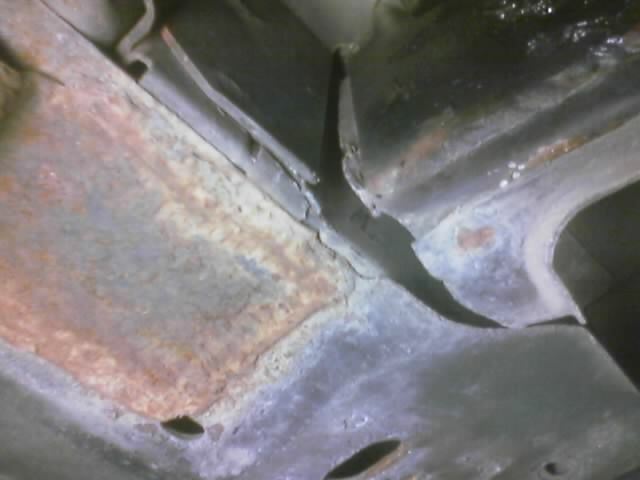 This is after he welded the box back together, and before he welded the plate on.